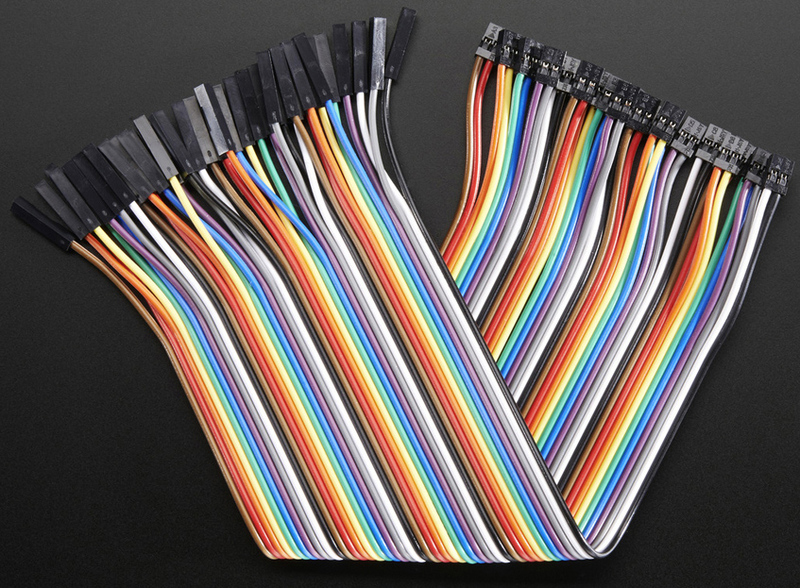 These jumber wires can be used for X200 GPIO control and better to use with Male/Male Jumper Wires . These jumper wires come with a twist! Instead of going from 0.1"/2.54mm pitch headers to breadboard or something like that, these are 2.54mm to 2.0mm! Handy for making wire harnesses or jumpering to annoying 2mm-pitch connectors, these premium female-female jumper wires are around 8" (200mm) long and come in a 'strip' of 40. Each pair of wires has 2 2.54mm (.1") sockets on one end and a sing 2x2.00mm (.08") socket on the other on the other end (1x2mm aren't available). This allows you to connect products with 2.00mm header spacing to a breadboard! Just put extra-long male headers in the breadboard and connect! These come in a ribbon strip but you can always pull the ribbon wires off to make individual jumper wires OR keep them together to make neatly organized wire harnesses. For best results, when plugging these in a line, have the sides with the 'silver latch bit' sticking out since that side is a tiny bit wider than 0.1" or .08".